Although spinal cord injuries can range in severity and symptoms, they typically have a large impact on a person’s life. While many individuals with spinal cord injuries can go on to live productive and independent lives, most will require an increased level of support. Unfortunately individuals who can no longer work may find it difficult to pay for their necessary medical treatment, assistive devices, and supportive care. The Social Security Administration (SSA) recognizes the financial strain that occurs after suffering an injury or illness and offers disability benefits to qualified individuals. 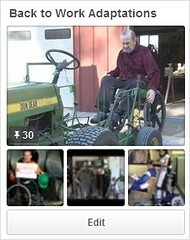 Click Here — Learn more about Social Security and spinal cord injuries and watch thousands of SCI videos on SPINALpedia! Applying for disability benefits can be a long and confusing process. However, doing your research and learning about the different programs will increase your chances of approval. The following article is intended to alleviate any confusion and will prepare you to submit your application. • Your condition has lasted, or is expected to last, at least one year or result in death. • The condition has lasted, or is expected to last, at least one year or is expected to result in death. The SSA has implemented these definitions to make sure that disability benefits are being distributed to individuals who have long-term disabilities and illnesses. Unfortunately, if an applicant does not meet the above-mentioned criteria, he or she will not be approved for benefits. The SSA oversees two main federal disability benefit programs. These are Social Security Disability Insurance (SSDI) and Supplemental Security Income (SSI). Each of these programs offers benefits to different groups of people. Below we have provided you with a general overview of the technical eligibility requirements for each program. In certain circumstances, it is possible for applicants to receive benefits from both programs. 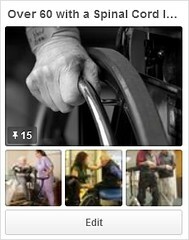 Also of importance: Medicare and Medicaid coverage is available to most individuals who qualify for disability benefits. After a two year waiting period, all SSDI recipients become eligible for Medicare and SSI recipients become eligible for Medicaid immediately. All applicants will also be evaluated based on the severity of their medical condition. This assessment is done in accordance with the listings in the SSA’s Blue Book. The Blue Book contains the medical requirements for all potentially disabling conditions that are recognized by the SSA. • Lumbar spinal stenosis that causes pain, weakness, and significant difficulty walking or moving. Note that if you have suffered vertebral fractures but do not have nerve root compression, you may still be able to qualify for benefits if your symptoms closely match those listed above. If you have become paralyzed as a result of a neurological condition, such as Multiple Sclerosis, you may better match the requirements of Blue Book listing 11.08—Spinal Cord or Nerve Root Lesions. The initial application for adults can be completed on the SSA’s website or by scheduling an appointment with a local SSA office to complete the application in person. Both are effective ways to apply, applicants can choose which they prefer. Children under the age of 18 however, must attend a mandatory interview with an SSA representative. Although a portion of the child’s application can be completed online, many parents prefer to complete all paperwork during the scheduled interview. After submitting your application, it may be several months before you receive a decision. It is important that you continue to save medical records and follow prescribed medical treatment while you wait. In the event that your initial application is denied, you will have 60 days in which to appeal this decision.